We work with a top-notch array of people to complete all the projects recorded and mixed at Aire Born. Mike began Aire Born in 1987 with former partner John Bolt. He and his wife, Tina have six children… which they had merely for tax relief. Mike is the visionary leader of Aire Born. He is currently working on a 1/552 scale model of what he calls the “Aire Born Compound” in his office. The Aire Born megaplex would include a 12 screen movie theater which would only show “Howard the Duck” (Mike’s favorite movie) as well as White Castle and Popeye’s restaurants. The Wilson Tower, modeled after the Eiffel Tower, “but without the French food”, would be the centerpiece of the plaza. Mike has occasionally been seen siphoning oil from the pipeline outside of the studio, which explains why he can live so far away and still afford gas. Van has been with Aire Born for quite some time. We’re actually not sure when he began working at the studio, he just showed up one day and has been hanging around ever since. Raised in the city, but now the owner of a farm, Van says he was duped into country life by John Denver who said “life on the farm was kinda laid back”. So now when he’s not fighting frozen farm equipment or chasing chickens off the porch, Van uses every unbooked hour available locked in Studio B’s ISO booth pursuing what he calls: “Resonant Hum Therapy”. Dave Price graduated from Full Sail and has worked at Aire Born since 1993. He and his wife, Jennifer, live in Connersville, Indiana, with their daughter Abbey. You may recognize David from his days on “The Young and the Restless”. David had a recurring role as Waiter #2. Dave has also done film work including the Blockbuster E.T. in which he played Trick-or-Treat kid #8 and Superman IV in which he played screaming man #34. Dave is currently also working as an interior design advisor on the Christopher Lowell show. Ben is a graduate of Cedarville College and has been at Aire Born since 1998. He and his wife Sara, an RN working in labor and delivery, have two children, Jacob and Paige. Ben is currently on sabbatical from Aire Born while he leads his “Free Martha Stewart” campaign. Ben wants to right the injustice of imprisoning the lady he affectionately calls the “MacGyver of the crafts world”. Ben has collected all the towels in the Martha Stewart Collection from Kmart. 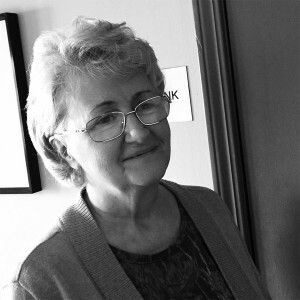 Nina joined Aire Born in 1989 as a part-time receptionist, and became office manager in 1994. She and her husband, Tom (a pastor), are the parents of five sons and two daughter-in-laws as well as grandparents to four grandchildren.